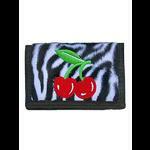 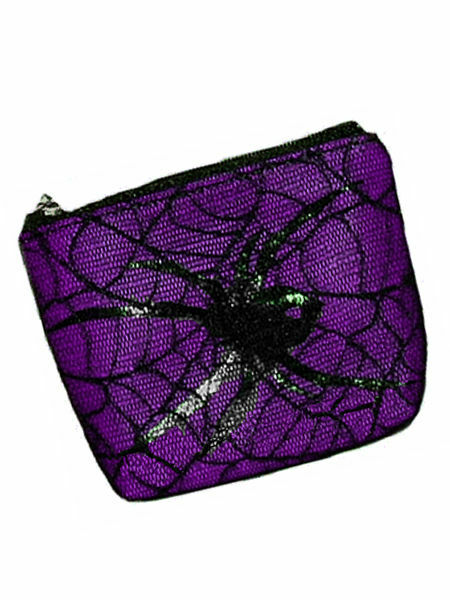 A little purple coin purse with a black gloss spider printed on the front. 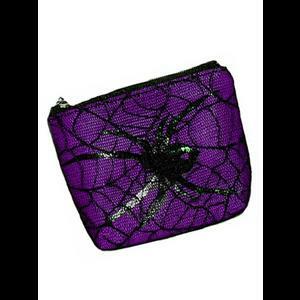 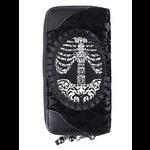 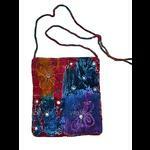 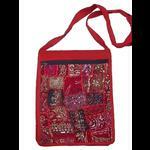 The entire purse is covered with black cobweb lace and has a single compartment and a top zip fastening. 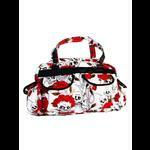 Lined..